We have a 2 day package available too if interested! Please call our office to get more information. See Christmas in all its magnificence: Garland sweeps across banisters, spectacular Christmas trees overwhelm the eye, and scenes everywhere glisten with stunning festive décor. 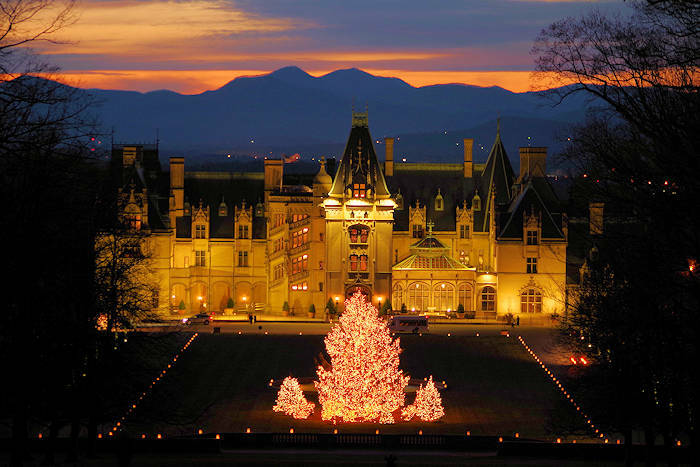 Childlike wonder embraces you at Biltmore. Christmas in all its glory takes you back to when you believed in wonderlands. It’s holiday season at America’s largest home where a 35-foot Christmas tree and miles of festive décor make your eyes get bigger than you ever thought possible. O Christmas Tree! 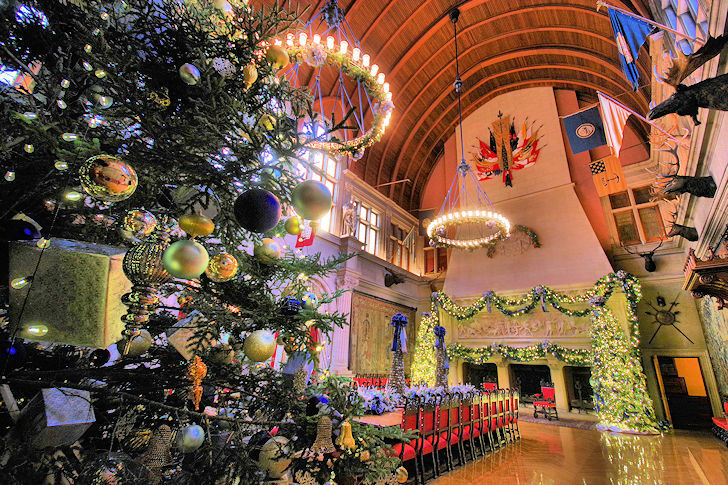 Become entranced by a 35-foot Fraser fir in the Banquet Hall, with the largest ornaments you’ve ever seen. It’s a classic symbol of Christmas in a way you’ve never experienced. Antler Hill Village comes to life with illuminated trees, garlands and wreaths for the holidays.